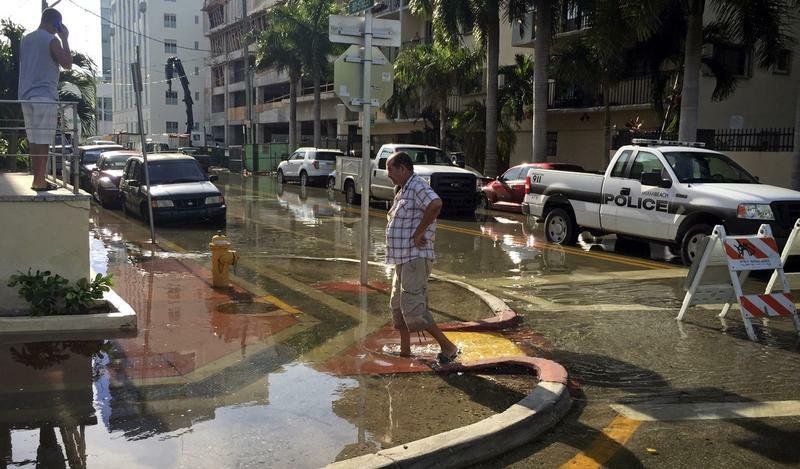 Miami Beach officials installed massive pumps to address flooding, pictured here at Flooded Alton Road Ninth Street. 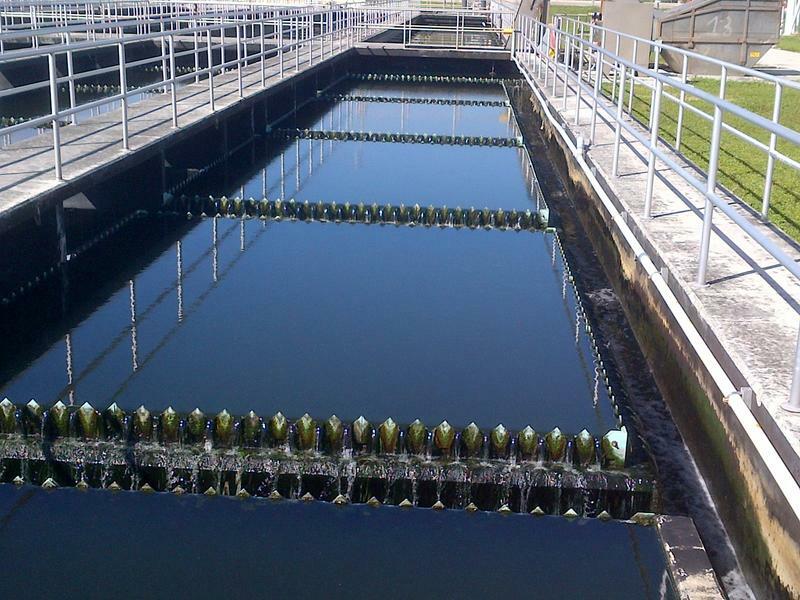 But scientists now say pumping stormwater is dumping water laced with high amounts of human waste into the bay. This puts homeowners' investment at risk — a potential financial disaster for any household. But it also threatens an important source of money for local governments: property taxes. 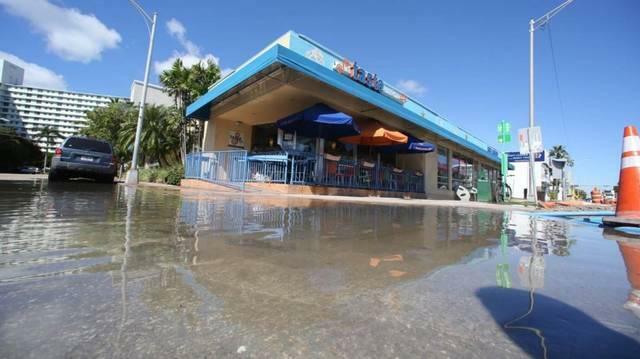 Experts anticipate as much as two feet of sea-level rise in South Florida by 2060, perhaps six feet by 2100. A report released this month also predicts thousands of commercial properties are at risk within the same time span. "Once the market better reflects the value by including the risk of sea-level rise in those properties, then you’re not going to be able to get the same level of tax revenues that you were before," said Nicole Hernandez Hammer, a researcher and climate activist who consults with the Union of Concerned Scientists. "And those are tax revenues that you would use for schools and for emergency services." This week on the Florida Roundup, Tom Hudson discussed this with the editorial page editors for the Miami Herald, The Sun-Sentinel and The Palm Beach Post and WLRN reporter Kate Stein. WLRN: What can you tell us about this redesign of the flood insurance program that’s going to take place? Kate Stein: I talked with Roy Wright, the former national flood insurance program director, and basically what we're looking at is a change in the way that the federal government assesses risk for homes, specifically flood risk. In Southeast Florida, that means flood risk due to rising seas. The concern among a lot of local officials here is that when FEMA starts including sea-level rise into flood insurance risk assessments for houses, that means the cost of flood insurance is going to go up for people. WLRN: What are the metrics that they're going to be looking out for this redesign? All three of the major counties here in the last, I think, 10 years have gone through some kind of remapping for flood zones, what's new with this redesign that it's going to lunch and when could it come into play? K.S. : We're thinking its going to come into play in the next two to three years in 2020, [from] what I've heard from sources in the insurance industry. As far as what's going to be taken into account, it'll be sort of where your house is located more specifically than it has been in the past, I think that the metrics that they're using are a little bit better, a little bit more local. WLRN: Nancy Ancrum, your thoughts here? Nancy Ancrum: This is long overdue. The flood map zones have been, I don't want to say wildly inaccurate, but they have been unreliable. And so this reform should bring us closer to the actual the actual flood zones and what's at risk. Of course, that's going to change continuously as sea level rise continues to grow too. WLRN: The flood insurance program [is] $26 billion dollars in debt, not because of Florida flooding, but Florida has 1.7 million pieces of property. Is Florida essentially going to be asked to pay the price of the flooding from elsewhere? Rosemary O'Hara: Yes. Florida has about a third of the policies that are in the federal program, But the big expenses, most recently, came from Katrina and Superstorm Sandy. And you know those weren't primarily Florida losses. there were some losses, but not primarily. And yet people look at Florida and think you need to you know do your share. Well, we're already doing our share. When I heard that guy say some premiums might go up and some might go down. Hold on to your wallets folks, it's not going down. And when they do re-do these maps, I mean, you know the flood maps are overly broad. What they're trying to do is new mapping that will reflect the elevation of specific properties. But as this goes forward, you know, the big headline here is that flood insurance is about to is about to escalate dramatically in the coming years. It's going to effect property values and communities need to help put in things that help prevent flooding and property owners, individuals we all need to be personally responsible for help and protect our own property. If you live in a neighborhood prone to flooding, how concerned are you that sea-level rise will reduce your property value? How concerned are you about rising insurance costs? Be part of the conversation by sending an email to TalkToUs@wlrnnews.org or fill out this survey here. This post was updated after The Florida Roundup aired at 12 p.m. on Friday, July 13, 2018.